Since the time of detection of alcohol, there are polemics, and the parties have not yet come to a common denominator in the definition of what is alcoholism. Some consider it as a disease, others – promiscuity. Here is another point of view: promiscuity is drunkenness. And alcoholism is still a disease. Comment on this issue boils down to a comparison of alcoholism with hypertension: the pressure may rise from any person, but not all people are hypertensive. It turns out that not all drinkers are alcoholics! Then there is a reasonable question: after several glasses, liters, on what day, or how long people “drink their normal” and that’s all – finish, it is time to tie? Unable to give a man to drink his norm “to the brim” put to bed drunk, and with the first roosters wake the alcoholic. Pressure can jump dramatically. Alcoholism behaves differently. Symptoms provide signals about the appearance of the disease in the body such as the increasing threat. Devices for determination of alcoholism, especially on early stages, as the blood pressure for hypertensive patients, are not invented yet, and probably it will happen not soon. Many scientists do agree on one thing: drinking is a launching pad of a serious disease. It is difficult for “green snake” to settle in a person who does not overstep the limits. This does not apply to those who occasionally wakes up with a tremor in his hands and a headache, lethargy and broken body. If at this time the hand reaches for a glass again and after another “hundred” the man becomes easier it is an alarming symptom. A healthy body will not accept alcohol in the morning after yesterday’s feast. Nausea and vomiting – quite an understandable reaction to the hangover drink. This plane is a slim and precarious line that lies between drunkenness and alcoholism. Thus, no amount of alcohol consumed and not always what was consumed indicates the transition from the initial stages of alcoholism to the next. That morning hangover is one of the primary litmus tests that takes the first bell dangers of alcohol. 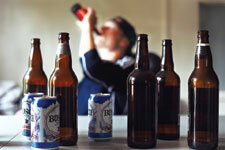 Scientists have been watching the development of a form of alcoholism. There are even stages, the typical symptoms. They pinpointed, described in the literature. It would seem what is still needed to see the distinction between domestic drinking and alcoholism? Everything is simple! Take a closer look to your loved one, compare its behavior with the description of symptoms and strike the bell in a moment of danger. But it not always takes place in real life. Not every person, by virtue of the physiological characteristics of the body, has symptoms, according to the book. Not everyone follows the path that was a neighbor or friend. 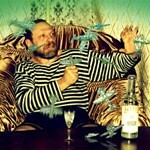 Any alcoholic passes his own way to the disease, with its own specific features. But it is necessary to know the characteristics, core symptoms of the disease. Then it is easier to identify individual characteristics. problems in a team or family, etc. Holidays end the friends change, the problem change too. The new reasons are born. Excuses sound less convincing. Binge drinking continues. Craving for alcohol is dangerous because it is difficult to distinguish faces, they can be defined by subtle features. If before friends persuaded to drink, then eventually the man himself finds an excuse “to drink and talk”: half-liter bottle without a word to the word no longer fit. Gradually some friends go out of this circle and are replaced by others, becoming more willing and ready to drink regularly. Drinker person rather unwillingly than consciously chooses his social circle. Home in a secluded place certainly makes “stash”, and suddenly someone comes and nothing to entertain! But this is not a safety fad hospitality and personal reserve “that is not running”. 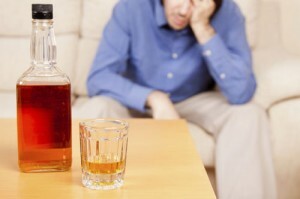 Drinker people may not agree with the idea that it was he – another victim of the future and an alcoholic. Often you can hear the “explanation”, they say, alcoholics, those who drink alone. The occasion to treat a friend and talk to him, by itself, does not condemn, if not the bitter truth: it is just an excuse to get drunk. Before the door in the euphoria of alcoholism – a change in behavior drinker eve feast. In anticipation of the regular get-togethers with a bottle, he is in the clouds of pleasant sensations negatively reacts to everything that hinders drink, irritability responds to criticisms of members of the family breaks down on scandals and with resentment finds solace in the circle of friends of their own kind, which discusses and condemns the “misunderstanding” wife. Understandably, the regret “abate” emptying a bottle or bottles. Under this same empty bottles clinking born prerequisites another indirect sign of alcoholism. As an indirect indication of the initial stage of the transformation of domestic alcoholic drinkers in this positive perception intoxicated and accompanying his mental comfort. At each observation drinker is to justify their behavior. He remembers, or comes up with arguments in favor of alcohol for the body gradually begins to believe in these “arguments” and claims that it does not understand and prevent to live properly. In the mind of the drinker, a moment comes revaluation of life values​​, changing the concept of morality: he denies the possibility of the disease and the negative impact of alcohol on health. In the early stages of alcoholism, there is another characteristic, the core feature of the birth of the disease: a person loses control over the amount of consumed alcohol, no longer sees the upper limit of the organism and can not stop. Sitting down at the table, he makes a promise: 100-150 grams and – point. But the body does not respond to the promise of a man, it lives by its own laws. The contents of each glass act a certain time, after which the influence of alcohol weakens. To support bar on the promised level people “add” yet. Again amplified the effects of alcohol and falls. Again following additives. The “abate” primary attraction to alcohol and “opens” second wind, the secondary drive, more powerful than the previous one. It is not accompanied by indirect signs, and concrete step to the next, the second stage of alcoholism. Experts believe the second attraction fait accompli of alcoholism: a first stage it exceeded the “critical mark” dose of alcohol. Waterline – a concept of maritime terminology. It shows the maximum allowable level of loading. If it sinks below the water, wait for trouble. If associative compare waterline marine vessel with a level of acceptable drunk alcohol, the result is viewed the same: a person can not exceed the permitted limit of consumed alcohol, the ship sinks, the body is destroyed. Experts confidently equate the influence of alcohol and drugs. Both the first and the second are addictive. At the official level, the WHO (World Health Organization) on the level of drug dependence added ethyl alcohol in the alcohol-barbiturate number of the list of substances that cause addiction. the emergence of pan-toxic lesions of the nervous system and internal organs. Each person has his own waterline limit of drinking. Its level of the stage, which a drunk person reached is determined by a simple formula: the longer a person drinks, the lower the critical level of alcoholism, the faster he will lose the control of drinking. Catcher for trained observers. Nevertheless, this is a very important symptom and it is determined easier than the previous two. This reflex – an attempt of the organism to resist an overdose of alcohol, which is perceived not only as a poison. The body tries to get rid of it and prevent the invasion of toxins. But if you often “train” the body in this way, it will be adapted to the toxins and over time cease to respond to them. This means a complete victory over the body of alcohol: now the habits run the human mind. It is called tolerance. Some believe that at this stage the body fully utilized in the fight against alcohol and no vodka now is not terrible: the experience of drinking expanded the body’s ability to process toxins. frequent feasts increase tolerance of alcohol. This is called tolerance acquired. Under domestic drinking inferior, physical tolerance acquired several times. Scientifically it is called abstinence. 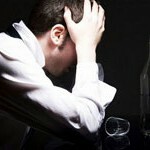 Hangover and abstinence – are the different concepts. They appear the same, the morning after a hearty feast, but accompanied differently. Common symptoms include a headache, nausea, shaking hands and feet. The difference: the hangover from the “untrained” by alcohol body goes away before dinner. goes into withdrawal or psychosis, as it is popularly called, the state of “delirium tremens”. In place of the usual malaise comes unbearable bruised of the body. Not only the course shake but the whole body, vomiting occur in the most severe forms, with the blood. It is very dangerous and means that subtle burst varicose veins of one or more internal organs. The situation itself is no longer held: such a patient needs urgent professional help. Withdrawal syndrome is rarely accompanied by a headache. Its manifestation indicates anxiety old injuries that are caused by intracranial and the pressure scars or aggravated hypertension. Insomnia, nightmares, hallucinations may develop the disease to a state of delirium tremens, when the place of human consciousness firmly occupy “glitches”. Withdrawal symptoms can “wake up” or sharpen old sores and neglected disease – edema of the brain lesion of respiratory and cardiac centers. They are followed by the tragic finale. Chance for human salvation lies in the professional treatment: folk remedies or “old wives’ recipes will not help. Of course, the person will need to mobilize all his willpower and get from alcohol way: from the alcoholism stage to the original state of health it is impossible to return. But it is possible to fundamentally change the way of life. You must pay serious attention to your health and to completely abandon everything that contains alcohol. If in the morning a person can not remember what he said or what he promised during the feast – it is the memory lapses, another alarming symptom of alcoholism. They often accompany a hangover. But if the constant drunkenness will “strengthen” a negative than it won’t become a harbinger, but a sign of alcoholism. Can not be the person who goes down to extremes himself. The first to offer help it should be relatives. They should insist on treatment, not to lose the loved person, to stop it before going on a short and quick way to another world.